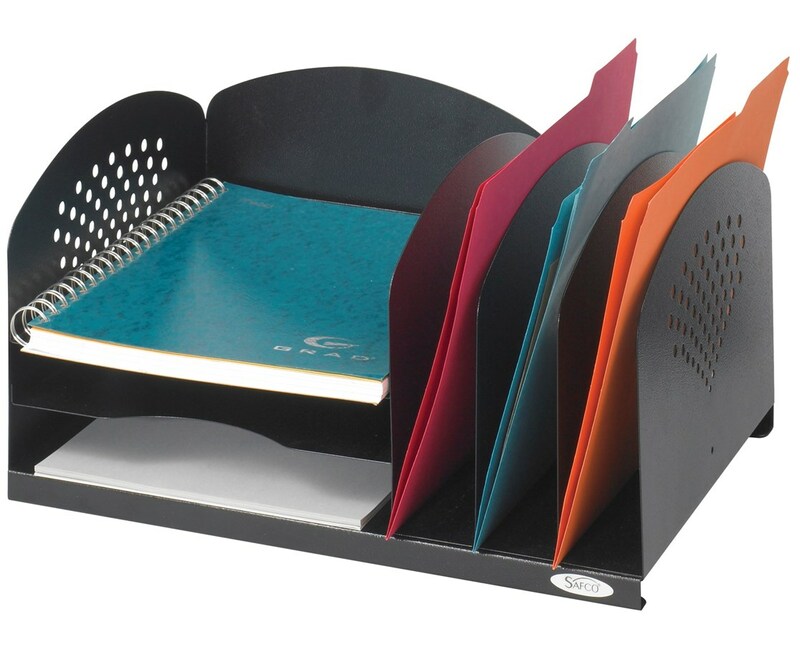 The Safco 3 and 3 Combination Rack is a desktop file organizer with combined horizontal and vertical compartments. It features three horizontal shelves and three vertical compartments that fit standard letter-size documents. 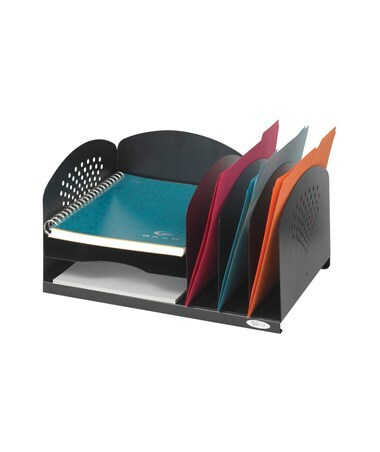 The horizontal shelves have curve front edges for easy access to the documents. The decorative side and back panels add style to this rack. It also has rubber feet to protect desk and other work surfaces from damages. This combination sorter is made of steel with a mar-resistant powder coat finish. It is also GREENGUARD certified, which means it is safe for indoor use.